Fixturecraft has been designing and distributing wire display racks for over 35 years and have made a commitment to provide quality FIRST AND FOREMOST. Based in NJ, Fixturecraft has been an industry leader since 1982. Fixturecraft offers a large selection of wire displays for literature, merchandise, marketing, tradeshows and presentations. You will find Fixturecraft wire displays at exhibits, shows, conventions, sales presentations, schools, libraries, offices, retail stores, building supply companies and even in your doctor’s waiting room. Many of Fixturecraft’s wire displays are developed and designed with help from our loyal customers. 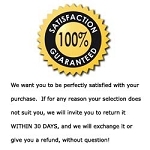 And everything we carry is backed by our 100% satisfaction guarantee. As a leading distributor of Point-of Purchase Book, Literature, Greeting Card and Magazine racks, we take great pride in our high-quality products. All of our displays are made of heavy-gauge wire, powder coated with an environmentally GREEN process, which is Certified Lead Free. The finished display is durable, brilliant and will last for years. Whether its table top easel designs, retail counter displays, wire floor book racks, spinning CD, DVD, postcard, greeting card displays, or slatwall fixtures, we have them. Fixturecraft's wire and Greeting Card displays are in stock and can usually ship the same day ordered. using your UPS or FEDEX Accounts.